Visit zadig.akeo.ie and download the latest zadig software. you need to install the driver for both interfaces of your OpenOCD programmer (Interface 0 & Interface 1). 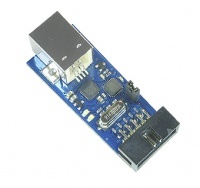 The ICprog-AVR2.0 / KANDA is the smallest available USB-Programmer for Atmels AVR microcontroller. Version 2.0 is programming twice as fast as ordinary programmers. 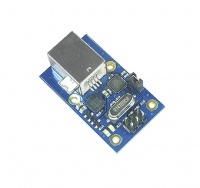 ICprog-AVR2.0 / KANDA knows about the Page Programming Mode and is compatible to AVR910. For controlling purposes there are LEDs on this programmer. We recommend the AVRDUDE for programming. The ICprog-AVR2.0-KANDA has a 10 pole programming interface unlike to the 6-pole connector of ICprog-AVR2.0. 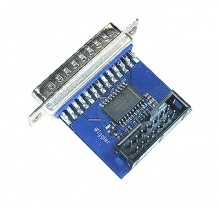 The Programmer is equipped with a bootloader, that is able to flash firmware-updates. Standard Wiggler low cost JTAG interface for Parallelport. This page was last modified on 19 May 2017, at 10:00.